What Does the Future Bode? The 116th Congress has been sworn in; it’s leadership in serious doubt and its mission, from the Democrat standpoint, confused. It will be a contentious two years. Nancy Pelosi’s place in history, despite the fact she’s’ a dedicated unAmerican Progressive bordering on dementia, is secure. History will reflect she was the first Female House Speaker and the first female elected twice to that position. To be kind to her true but sad legacy, commendations will end there. We must seriously forget thinking in terms of Republican vs. Democrat but in terms of ‘Them vs Us,’ us being the “deplorable’s” they so desperately want to rule over. Romney’s recent op-ed remarks made that perfectly clear. Is he one of them or one of us? He’s as corrupt as the rest of ‘em! Romney focused on form and style not a word on what needs to be done. The American people see Trump for exactly what he is, a do’er who does what he said and gets the things done that needed to be done, like reversing the Progressive agenda the Left labors to preserve. With political corruption comes the seeds of elitism, implanted into politician who, because he or she has been re-elected time and time again assumes they are better than the voters who put them there and deserve, because of their longevity, to retain the reins of power, even to the point of denying their election losses. That’s why Nancy Pelosi is House Speaker again, despite being a near dimwit, and why she has come to believe she stands as a co-equal with President Trump, clear evidence of her oncoming dementia. Presently, the Nancy Pelosi refuses to fund a secure border. Five billion dollars funds our government for a day, but naturally, to do so would be giving a political victory to Trump and that they can’t abide. She’s trying to dampen down Democrat talks of “impeachment” because there is noting there to impeach him for. They’ll wait for the Mueller Report, which I predict will be a twenty pound tome of unprovable BS that Democrats will use to halt all legislative progress. The new Congress, filled with young new Democrats, poses a problem. The fake news media focuses on the loudest, most flamboyant and really, the stupidest of the new members, Socialist all, who rant on about issues and policies that will never leave the House, let alone be considered in the Senate. The political stalemate is quickly degenerating into a carnival side show for entertainment purposes only. No legislation can possibly come from that quarter. But also, amongst the newly minted Democrat congressperson’s are CIA and military combat veterans. 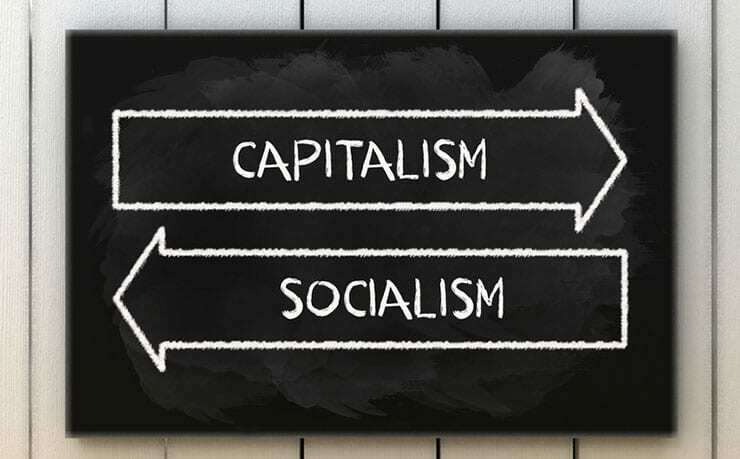 Why they are Democrats remains a mystery, but the ones I’ve heard speak have not been tainted with the poison of socialism and actually fit better into the old Democrat party’s demographics we once knew and loved so well. I thought I heard a Scoop Jackson today! But, alas, the House still has its old, decrepit, ignorant, intellectual illuminaries like Maxine Waters to chair the House Finance Committee, Hank, “won’t the Island tip over” Johnson, Sheila Jackson Lee and a few others who, because of their notoriety, or is it possibly their stupidity, find microphones shoved into their faces so they can pontificate on how awful Trump is. It’s time to rearrange our priorities, especially if the GOP intends to remain a viable political party. Remember, freedom is the goal, the Constitution is the way. Now, go get ‘em. Nita Cagle speaks to a group of youths in Blairsville, Georgia. 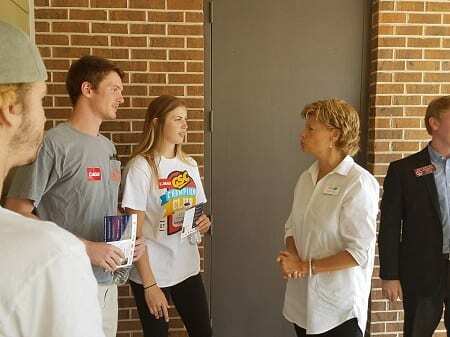 While supporters and undecided voters alike packed venues to hear the candidate speak in their hometown, many were surprised to see another Cagle family member emerge from the bus to give her take on why Casey Cagle, her husband, should be Georgia’s next governor. Nita Cagle has been by Casey’s side for 32 years. 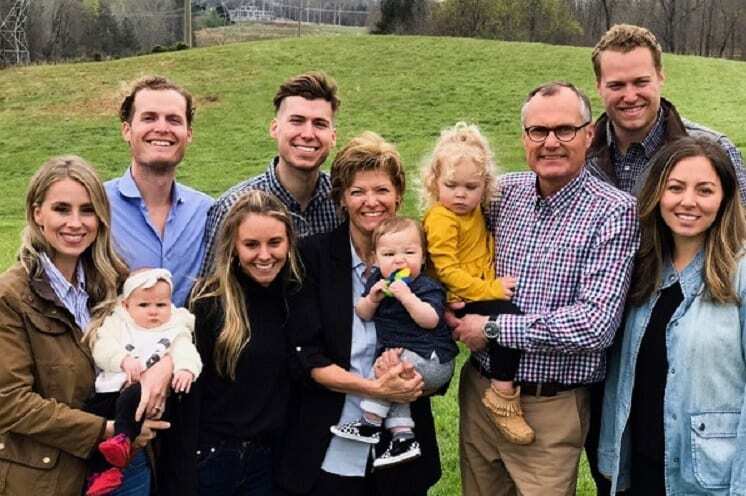 In those 32 years, the Cagles have raised three sons and are currently enjoying the addition of three grandchildren to the family, but raising a family and having a life in politics has not always been easy. Cagle holds the title of Second Lady of the State of Georgia, but she said what she is most proud of is her title as wife, mother and now grandmother of the Cagle household. “I’m the inaugural member of team Cagle,” Georgia’s Second Lady joked as she spoke of the family’s early years in politics. Casey Cagle first ran for Georgia Senate District 49 in 1994. At that time, both of the Cagles were in their late 20s and just beginning a family. Cagle admits that when she first noticed Casey was showing interest in this field, that she was “a little hesitant” to jump on board but says that her faith changed her attitude. “I had many nights, many talks, and eventually a calmness just came over me, and I was okay with it. 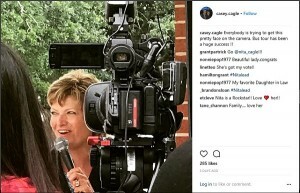 So when he came to me and said this is something that is on my heart, I already knew,” Cagle spoke candidly of her acceptance to stand by Casey as he joined the political arena. Nita Cagle rallies the crowd for her husband at Glenda’s in Cleveland, Georgia. Ultimately,, through family discussions, Cagle decided that she would become a strong foundation for her family at home. Having grown children poses a set of new and exciting challenges when it comes to time management, as Cagle announced that their youngest son recently proposed to his girlfriend and would like to wed in the fall shortly before the November General Election. Casey Cagle takes time to boast on his wife Nita via social media. Cagle added that having been in a house of men for so long, and with her two older sons already married she is excited for the wedding and glad that the male to female ratio is evening out. Having obtained a degree and having a background in early childhood education, Cagle taught preschool for a number of years. 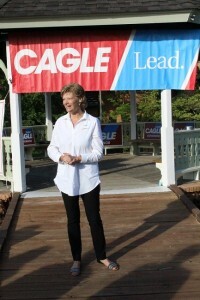 “I specifically love the preschool age,” Cagle smiled as she discussed one of her goals if given the title of First Lady of Georgia. Cagle would like to see preschool education expanded and offered throughout Georgia. She cited the importance of teaching children at a young age and how this early nurturing can carry over throughout their life. Knowing that not every child is able to receive this kind of early start at home, Cagle would like to see this program offered in more areas, stating that the work put into a child at an early age will benefit society for generations to come. Cagle would also like to put a focus on small businesses throughout Georgia. She and husband Casey got their start by establishing a small business, so she knows first-hand the struggles that entrepreneurs face. “I would like to champion them, and spotlight them,” Cagle said, explaining her passion for this area. She noted that small businesses make up a large portion of the Georgia economy, and she would like to see “mom and pop shops” continue to set up and succeed in our state. Finally, Cagle discussed an issue that has come up time and time again on the campaign trail and that is of the opioid epidemic that is not just facing the state of Georgia but affecting countless families nationwide. 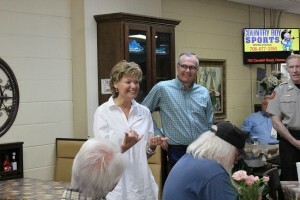 Nita Cagle is all smiles as she introduces her husband Casey Cagle to the crowd gathered in Habersham County. While Cagle admits that she is by no means an expert when it comes to this crisis, she says that she cannot deny the need to address the issue and “get the conversation going.” She stated that by hearing the heartbreaking stories from families affected by opioid addiction she understands the depth of the problem and that it will not be an easy one to combat. Cagle would like to increase awareness of the opioid epidemic and at least on one front open the doors for mentoring programs where families struggling with this issue can speak with former addicts on how to help loved ones. Cagle also acknowledged the successes being seen through Georgia’s Drug Courts and would like to study the impacts of possibly expanding these programs. 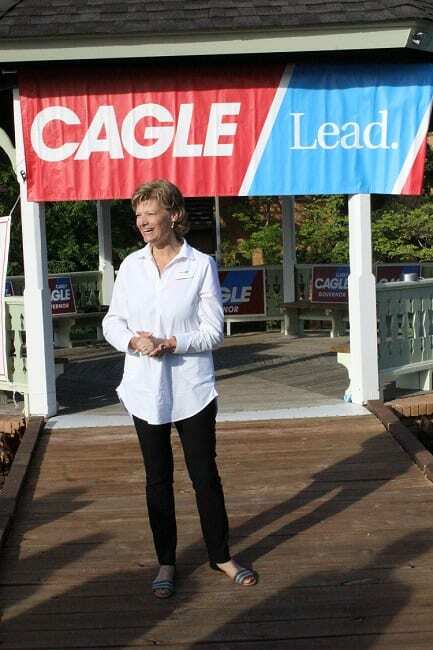 Nita Cagle beams a confidence and sincerity in all that she speaks of, but perhaps her biggest conviction is in that of her husband’s ability to make a great governor of Georgia. She spoke of his competitive drive and his ability to connect with people but said he is also a fair man and one she is proud to have spent the last 32 years by his side. 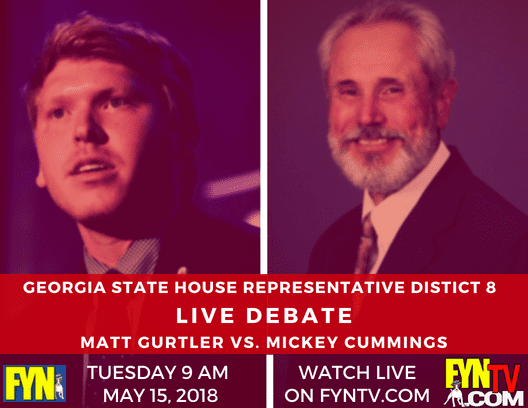 BLUE RIDGE, Ga. – David Cooper will face off against Josh McCall for Georgia’s 9th congressional district seat Democratic nomination. 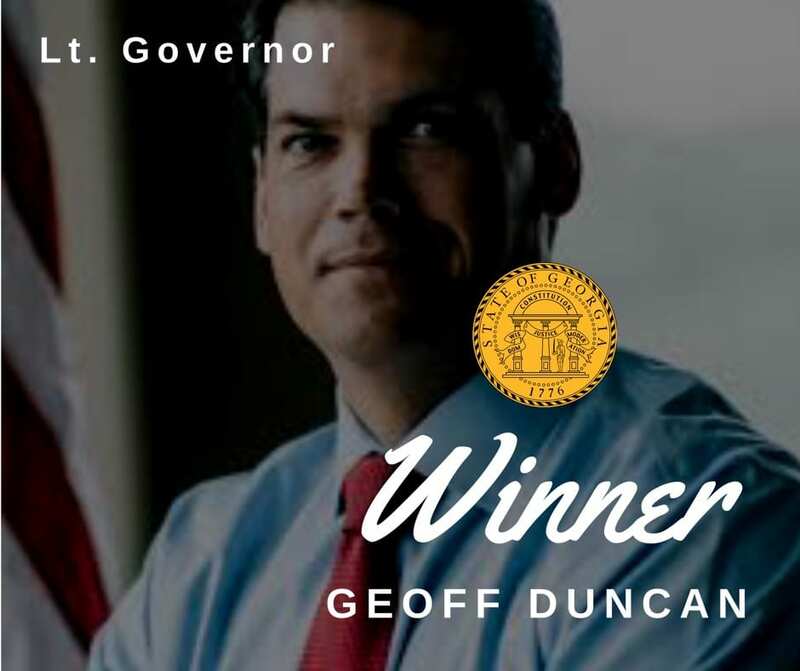 The winner of the May General Primary will then run against Republican incumbent Congressman Doug Collins in the November General Election. 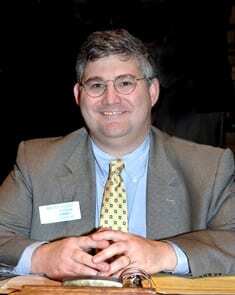 Collins has held the Georgia 9th Congressional District seat since 2013. 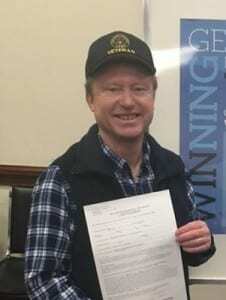 David Cooper seeks Democratic nomination in May General Primary. Cooper stopped by the Fannin County Democratic meeting to share with Fannin County residents why he feels that he is the best man for the job. “I am soldier. I have served in the forces that have guarded this country and our way of life, and I am prepared to serve again,” Cooper introduced himself. 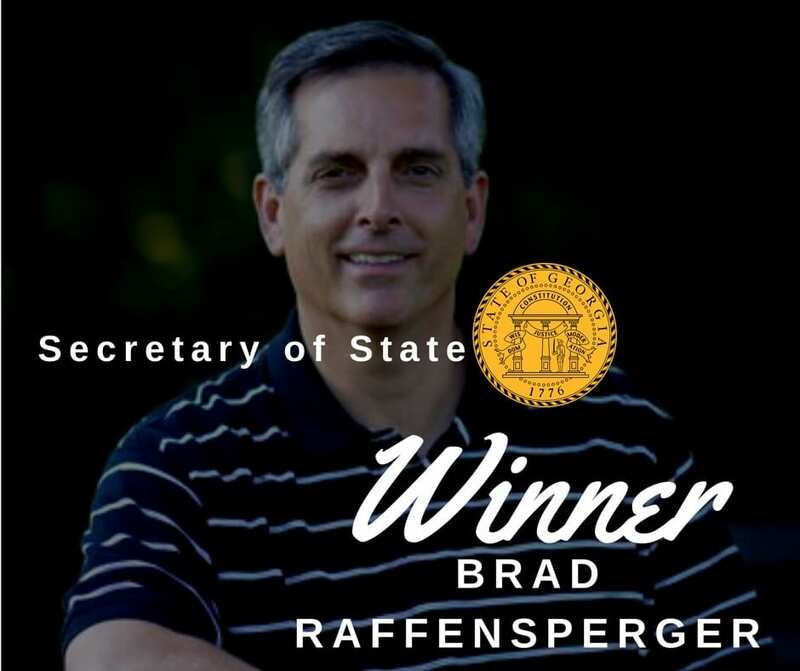 Holding a bachelor’s degree in political science and a master’s degree in public administration, Cooper has also had a career working various levels of government and is currently retired from the Environmental Protection Agency (EPA). 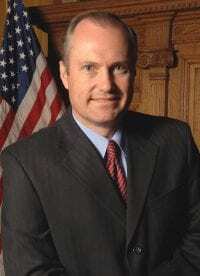 During his employment with the EPA, Cooper worked in hazardous waste clean up and also worked in commercializing green options, such as solar, wind, and geothermal. “It is not about giving a speech. It’s not about making a list of here’s my issues, and wouldn’t it be cool if we could do these things. That is what every politician is taught to do,” Cooper said, explaining he wants to see real accomplishments. Cooper is convinced that there is no such thing as a single-issue voter and is confident that he can find common ground and common values among all residents of Georgia’s 9th District. Cooper summarized his beliefs and his platform into three key elements, with the first being a need to “save democracy”. He feels this can be accomplished by stopping fake news, ensuring clean elections, and implementing term limits. His second stance is to “protect what we hold dear.” Cooper cited a few areas that deserve our attention and care, with these being social security, medicare, women’s rights, the environment, veterans, and small businesses. Cooper labeled his final stance as “progress for the future.” He would like to see steps made toward universal health care, common sense gun control, clean energy, fair taxes and affordable education. “That’s how we keep the Georgia 9th vibrant, keep these small businesses going,” Cooper added.